The Academic Innovation team is growing to meet new opportunities that will shape the future of learning and redefine education at the world’s great public research university. Charged five years ago to create a culture of innovation in learning at U-M, the Office of Academic Innovation now provides thought partnership to partners across campus earned through exemplary service. We partner with our lifelong learning community, with like minded institutions around the world, and with strategic partners across industries who share our commitment to equip individuals and communities who hope to learn and shape the world together. We build products that delight learners and faculty, create communities that expand access to higher education, and facilitate connections that are interdisciplinary, intergenerational, and interprofessional. We help the growing and global U-M community to solve for the world’s most important problems. Together, we are #HereToLearn. Can you see yourself on our team? Explore these open positions and help us to create a peaceful, equitable and empowered society. 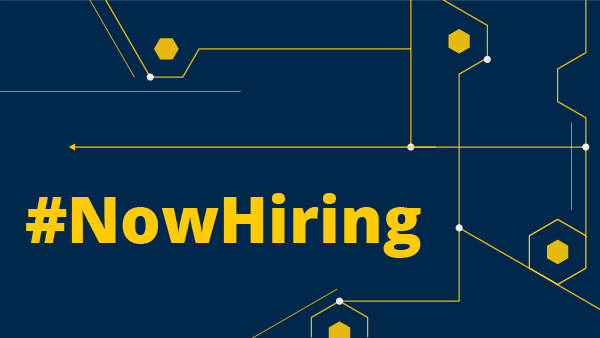 Learning Experience Designer Lead – to supervise the Learning Experience Design team and help to establish a vision for learning experience design at U-M through creating, shaping, and incubating new digital learning experiences. Program Manager, Online Instruction – to support faculty as they prepare to design and teach innovative online and hybrid courses while also imagining, designing, facilitating, and supporting an online teaching academy for faculty and graduate students. Faculty Experience Designer – to work with the online learning teams, the tools and technologies teams, and the public engagement team to amplify their efforts by recruiting new faculty into the academic innovation network, increasing faculty innovator satisfaction, and celebrating the work of our faculty partners. Product Manager – to collaborate with our other product managers and our software portfolio manager to grow adoption of our home grown educational technology tools. Software Developer – to advise on application architecture and direction, lead project teams and develop applications across a range of exciting new projects and technologies. Senior Software Developer – to lead development cycles, collaborate with project teams and develop applications to unlock the possibilities for engaging and innovative online learning experiences including the growth and development of Michigan Online. Senior User Experience Designer – to envision the future of learning experiences by designing and implementing the visuals, interactions and experience for Michigan Online and supporting projects. Compliance and Policy Lead – to help various institutional stakeholders understand the legal and regulatory framework related to offering online and hybrid academic programs and consult with stakeholders regarding program design considerations to ensure online and hybrid offerings meet regulatory requirements. The University of Michigan’s mission is to serve the people of the world. To develop leaders and citizens who will challenge the present and enrich the future. To create and apply knowledge together. We welcome you to join us in this important work as we navigate a world of near-limitless access to knowledge and learning tools that are improving every day. We have decided that increasing access to learning opportunities is not enough. To create a peaceful, equitable, and empowered society, we need to create problem solving communities where we can learn together. Help us build our preferred future. Bring your talents and passion for learning to Ann Arbor and share them with the world. Why Everyone Should Know Programming Proudly Announcing Quick Win Research Grant Funding!